The story opens up in a fantasy world set in olden days as witches and warlocks cast an unknown spell in the forest. Then a cell phone goes off and we find out are expectations were wrong. The book does that several times throughout as we follow detective Morgan Black, who is thrust out of the woods to deal with a hostage situation. The captor has requested her specifically and we quickly find there is plenty out of place about him. Rucka quickly sets up a fascinating supernatural tale that throws us into a cop drama and ties it all together. Everything gets brought to life with Scott’s art which sticks to greyscale to really give it personality. Her background loses a bit of detail at times, looking a bit murky, but her characters are stunning. 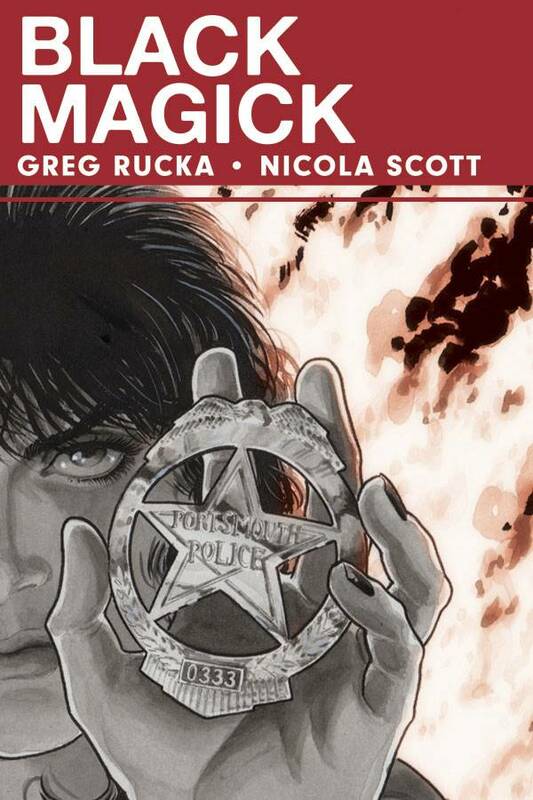 There is still a lot for us to find out about Black Magick after its first issue, but Rucka knows exactly how to get us wanting more.